Lt. Mark Gauthier of the 101st Field Artillery, 2nd Corps, Mass. 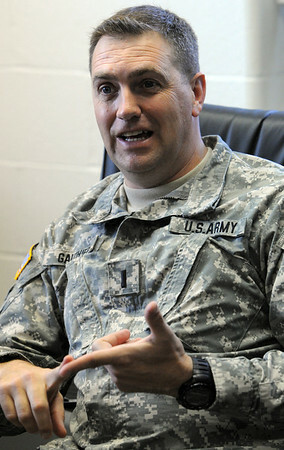 National Guard, speaks about the recent tour in Afghanistan. Photo by Ken Yuszkus/Salem News, Thursday, May 26, 2011.